When people advancing age, the effects of gravity, sun exposure and concerns of daily life can be seen on his face. They appear deep wrinkles between the nose and mouth; the jaw line slackens and becomes flaccid; folds and fat deposits appear around the neck skin. 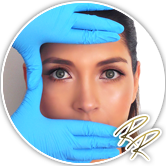 There are several options for FACIAL PROCEDURES to offer the patient a solution to their appearance. 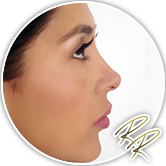 Rhinoplasty si a procedure where the nose is reshaped, reduced or augmented to improve its appearance, trying to develope the strategy that best suits patient's expectations and surgeon's experienced criteria. This surgery is conceebed to repair droopy eyelids that may involve removing excess skin and fat. Usually ti is an ambulatory procedure and sutures can be removed a few days afther the intervention. Postoperative recovery takes only a few days. Surgical procedure that improves visible signs of aging in face and neck to recover it's harmony. That can be achieved by removing excess skyn, liposuction, lipofilling and other alternative mini-invasive techniques like hialluronic acid or botuline toxine. Otoplasty is a cosmethic surgery which adjusts the shape of the cartilage within the ear to create the missing folds and also allows the ear to lie closer to the side of the head. As the work is done o la from the baca si de of the ear, a small scar is left close to the groove between the ear and the side of the head. This facial contouring procedure can correct droppy eyebrows. The method is done under local anaesthetic, it lasts 40 minutes and involves making 2-3cm incisions in the hairline, not visible and hidden by the hear. Most patients fully recover within two weeks and return to their normal routines. 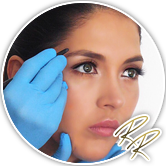 This surgery is based on the insertion of specially formed solid, biocompatible materials designed to enhance or to improve the physical structure of your face. The main goal of this non surgical procedure is to give fullness and contour to your lips to make them look softer and larger by filling them with biomaterials. The filler (hialluronic acid or fat) is injected with a fine needle into strategic points on your lips in combination with topical or local anesthesia. . This surgery is done to provide better balance to the facial features u sing Implants to alter the structure of the face. In some cases this procedure can be combined to rhynoplasty to achieve ideal facial proportions.